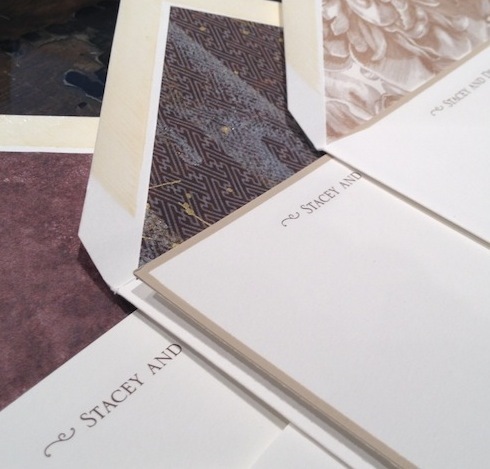 Your stationery should flatter your recipients – Write with us! Just this past spring, a new friend from the east coast introduced me to Arzberger Stationers. He believes they create such a beautifully engraved product that I should offer it at TT Patton. Double-thick card some with borders, some without, engraved in taupe ink. Envelopes lined in three very different liners. After doing a little research, I learned that Arzberger is a small business with a big product. They create beautifully engraved stationery and invitations using an intimate design process with their retailers around the country. As a local small business, it’s not only important to be able to meet the high quality standards of our clients with great products, but also to offer supreme customer service. Arzberger makes that easy with quick proofs, fast production times on engraved products and the ability to create truly bespoke stationery. 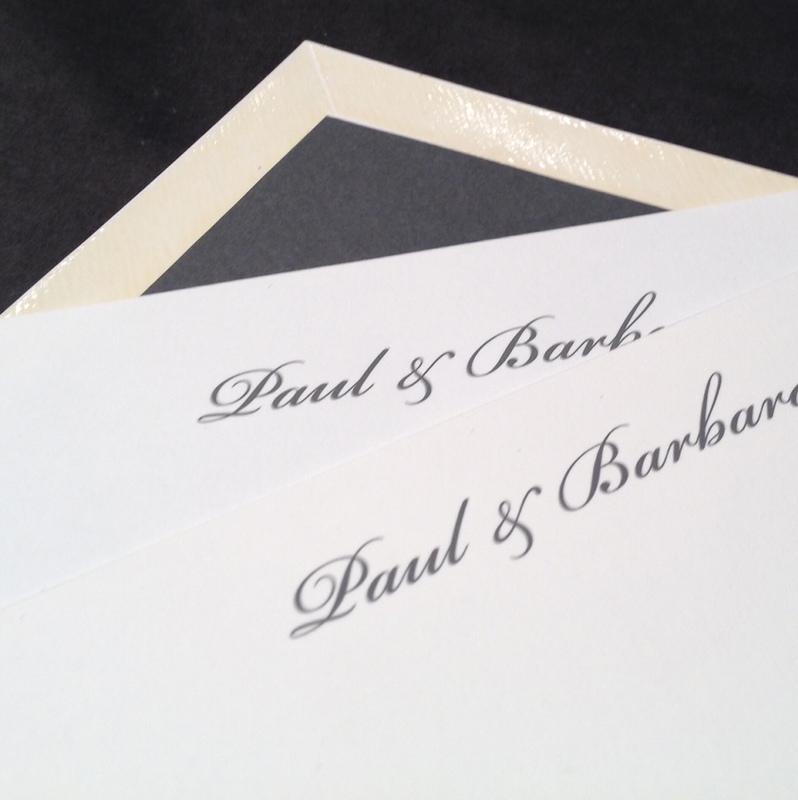 Social stationery, engraved in charcoal ink on bright white stock with charcoal liner. Please take a few minutes to view the video to capture a glimpse into the process behind each carefully considered piece of work they create. Plus I’m sure you’ll enjoy getting to know our new creative partner, Arzberger Stationers. We want to create something wonderful for you, that will be cherished. Regardless if it is a simple monogrammed note or a wedding invitation, they all deserved to be crafted at the highest quality, and customized just for you. Please stop in to begin the design process. Previous Post What is fabulousness?